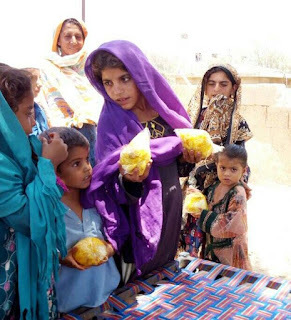 It is that time of the year once again when HOPE- a health NGO in Pakistan is always in full swing in arranging Iftar dinners for the underprivileged children and distributing food boxes among the poor and needy residing in slum areas of Karachi and distant villages and towns on the very fringes of this city. To continue its tradition of arranging iftar dinners for the underprivileged students and distributing Eid clothes among them, HOPE - an NGO in Pakistan, once again arranged an Iftar dinner at Bhattaiyabad where the students of HOPE semi-formal schools, which are located in Sachal and Bhattaiyabad, were invited. 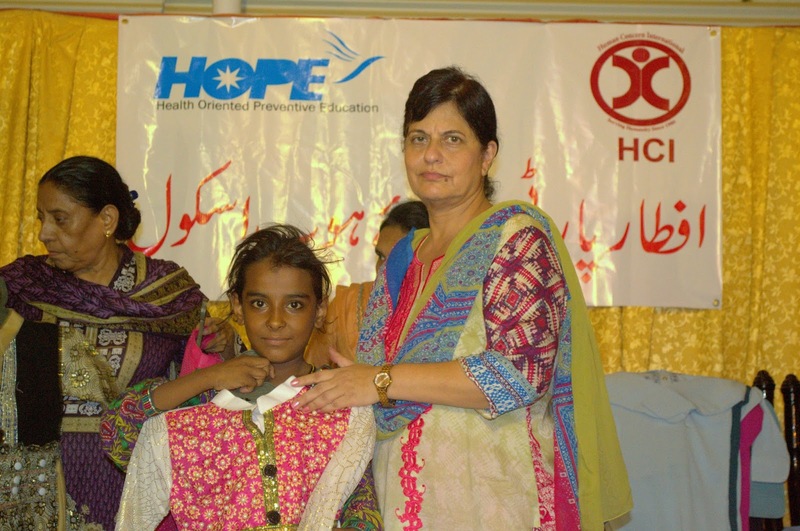 The Iftar party was sponsored by HCI and organised under the surveillance of Dr Mubina Agboatwalla - a Karachi based child specialist and chairperson of HOPE - a health NGO in Pakistan. There were around 500 students who attended this party. The Iftar menu included bananas, patties, samosas, chicken-potato cutlets, spring rolls and a brownie along with two types of sharbat. The children seemed delighted to be a part of this iftar party. They really enjoyed eating their iftari. Once the children were done eating iftari, Ration bags and ghee containers were given to the most deserving and needy children. 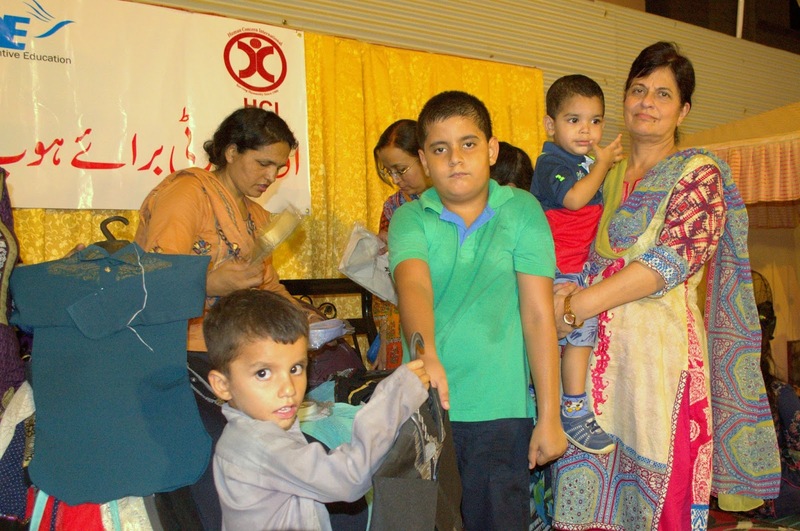 Subsequently, Eid clothes were distributed among all students according to their sizes by Dr. Mubina Agboatwalla - a child specialist in Karachi along with other key members of HOPE. The excitement of receiving new clothes for Eid could easily be seen on their faces. The Eid clothes distribution was followed by a delicious dinner in which Haleem and naan were served. Then the children lined up again to board to their respective buses to go back to their respective schools and onwards to their homes, thus bringing a very eventful and happy evening to a close. Happy faces, colourful clothes, spirit to serve humanity, smiles on the faces; such were the scenes of Grand Iftar arranged by HOPE – a health NGO in Pakistan. Since its inception HOPE has made it a tradition to help the underprivileged enjoy the month of Ramadan and the festivity of Eid. HOPE over the years has made sure that these deprived students who are receiving quality and free education at HOPE schools don’t feel debarred and ignored in the festivities during Ramadan and Eid. Hence, along with other iftar dinners and distribution of iftar and briyani boxes, HOPE, every year organizes a grand iftar in which the students of all Karachi home schools and formal school are invited. This Grand Iftar, which HOPE – an education NGO in Pakistan, has been organizing over the past nine years, had about 1500 students from formal and informal schools in Zia Colony, Sachal Goth, Manzoor colony, Mujahid colony, Bhittaiabad, Bilal Colony, Ghaggar, Bhains Colony, Rari Goth. 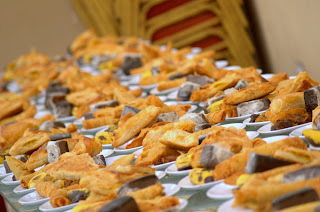 The iftar is sponsored by standard chartered every year. Around 200 guests from HOPE and Standard Chartered attended the iftar this year and witnessed the smiles and joy of those needy students during the iftar and dinner and the enthusiasm and eagerness of the students as they ecstatically received Eid gifts from Dr. Mubina Agboatwalla – child specialist in Karachi and chairperson of HOPE along with other guests. Before iftari, the volunteers of Standard Chartered Bank arranged an activity for the students which they really enjoyed. The activity included: games and storytelling. 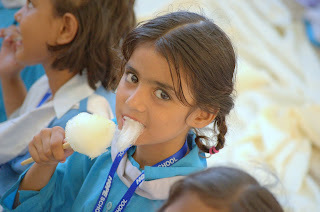 At the end of the activity, the students were given candy floss and goody bags which included stationery items. All in all, this was an evening filled with ecstasy. The happiness and excitement was easily seen on the faces of children which was the main purpose of this Iftar party. Millions across Pakistan are suffering and deprived of the basic necessities of life. However, there is a silver lining on the darkening sky in the form of NGO’s like HOPE. 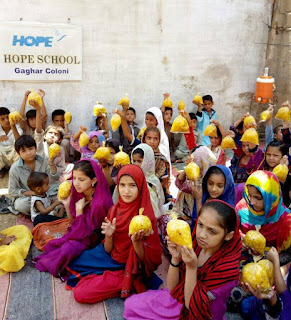 HOPE – a health NGO in Pakistan, has been doing philanthropic activities since the beginning of Ramadan so that even the less privileged ones can enjoy the festivities of Ramadan and Eid. On May 28th, 100 Briyani boxes were distributed among the patients at Sindh Government Hospital. On May 29th, 100 Briyani boxes were distributed among the students in Bhattaiyabad. On May 30th, 100 Briyani boxes were distributed among the students in Link Road. On May 31st, 100 Iftar boxes were distributed among the students in Mujahid Colony. On June 1st, 100 Iftar boxes were distributed among the students in Gadap. 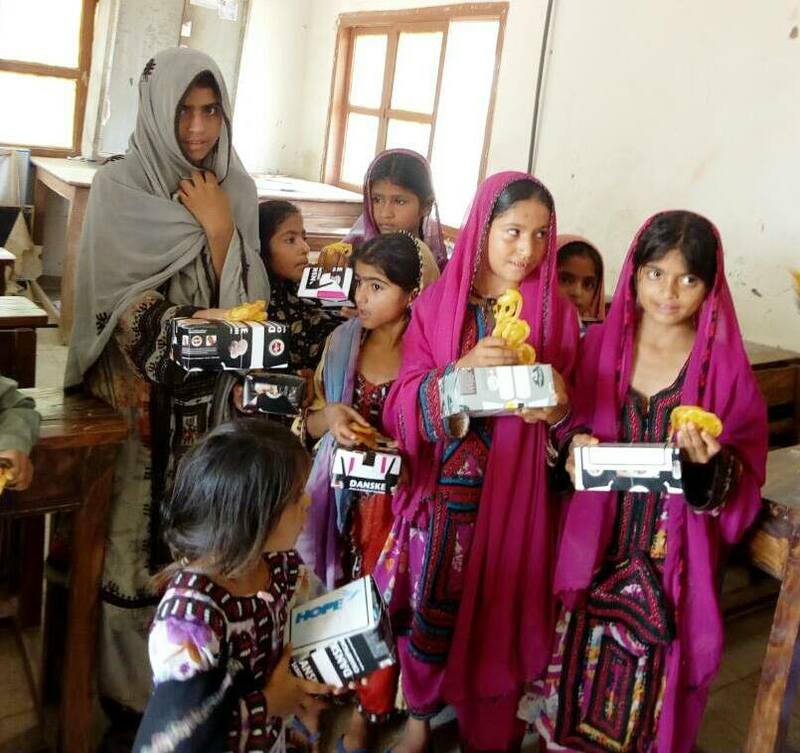 On June 2nd, 100 Iftar boxes were distributed among the students in Sachal Goth. On June 3rd, 100 Briyani packets were distributed among the students in Bhens Colony. On June 4th, 124 Briyani packets were distributed among the students in Bilal Colony. 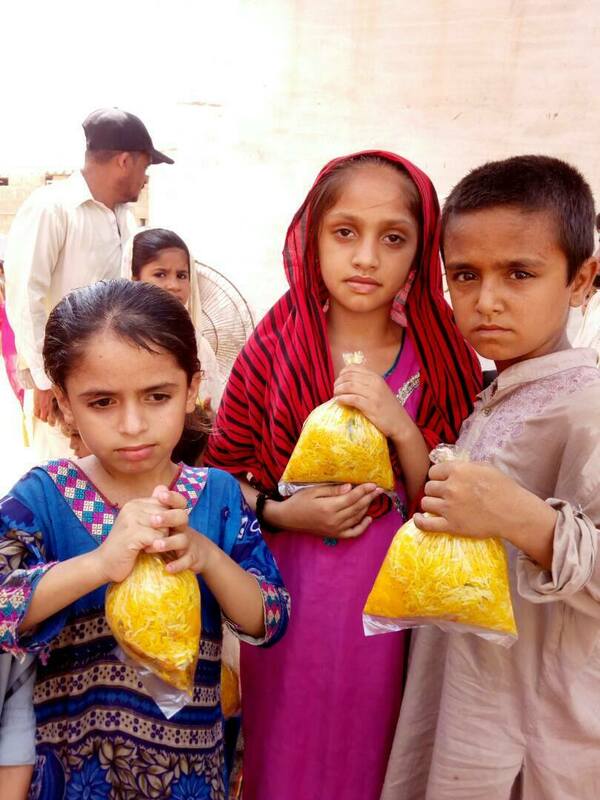 On June 5th, 100 Briyani packets were distributed in Zia Colony. The team will continue to distribute Iftar and Briyani boxes till the end of Ramadan. The children and patients are delighted to receive the boxes as they belong to the low-income class who cannot afford to enjoy eating a good Iftar like we do. Seeing the innocent smiles on the faces of the children is extremely gratifying and it affirms our belief that all the efforts, the hassle, the obstacles are worth going through just to see a smile on the faces of these children who can’t afford to enjoy the festivity of Ramadan and Eid to its fullest. These activities are carried out under the supervision of Dr. Mubina Agboatwalla - a child specialist in Karachi who is the person behind HOPE – an NGO in Pakistan.